Deciding to give up a pet that has been a part of your family can be a difficult and emotional experience for both you and your pet. Whatever your reason may be, you owe it to your pet to consider all your options and choose the one that is best for both of you. Below are some common reasons people surrender their pets and some suggestions as to how you may be able to keep the animal in that situation. ​Zillow Pet Friendly Rental Page, click here. Trulia Pet Friendly Rentals, click here. Hotpads Pet Friendly Rentals, click here. Behavior Problems - Many behavior issues can be solved by training, either in the home or with professional classes. Research positive reinforcement training methods on the Internet or in a library. Shelter staff can also provide resources. Allergies - Consult a physician before assuming an allergic reaction is caused by your pet. If keeping the animal will not seriously risk a person's health, making small changes such as using a humidifier or keeping the pet out of the bedroom may help manage the symptoms. Many owners find the benefits of having a pet outweigh the inconveniences of allergies. Before bring your pet to the Chico Animal Shelter, consider some of the other options that may be available. Finding a new home won't happen overnight and it is very important to give yourself adequate time to find an appropriate placement. It may take weeks, or even months to rehome your pet. Below are suggestions on ways to find a home for the pet yourself. Where You Adopted the Pet - If your pet was adopted from a breeder or a rescue group, you may have signed a contract that requires you to return the animal if you can no longer keep it. Even if this is not the case, the person or organization you got the pet from may be able to help, or be willing to take the animal back. Advertising - Never underestimate the power of networking with people you already know. If you choose to place an ad on a public forum like Craigslist, be sure to screen any prospective new family very carefully. An unfit placement will only result in your pet being displaced again, or worse. Never simply give away a pet for free, and not specifying the rehoming fee in your ad gives you more leverage with placement. Consider using Rehome (below). Euthanasia - Pets that have medical or behavior issues can be very difficult to place in a new home and older pets that have been with the same family most of their lives often have a hard time readjusting. In these cases, the most humane option may be to consult your veterinarian and discuss having the animal humanely put to sleep. These animals are less likely to kennel well in a shelter environment and with limited shelter resources, euthanasia may still be the end result. It is less stressful for the animal if you are there for support in the end. 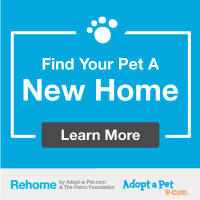 Rehome through Adopt-A-Pet​ - Click on the link to the right to take you to the Adopt-A-Pet site where you can post your pet for millions of pet adopters to see! You get to review applications and Rehome will provide you with an adoption contract to protect the transfer of your pet ownership. The shelter should be used as your last resort, only when all other options have been exhausted. As of February 1, 2013 the City of Chico Animal Shelter does not accept surrendered cats. If you need to surrender your cat, please contact the Butte Humane Society: 343-7917. The City of Chico Animal Shelter accepts all unwanted DOGS from owners living within Chico city limits. Please call to have your dog put on the waiting list and we will call you when there is space at the shelter. Please bring all your pet's medical records at the time of surrender. You can print out the Dog Surrender Form below and fill it out before your appointment to save time. There is no required surrender fee, however donations of any size are gratefully accepted.